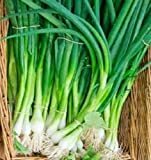 Scallion growing herbaceous of the genus Allium also known as Green onion, Scallion is a perennial to summer or winter semi-deciduous plant (depend on the climate area) because the vegetative reproduction of the bulbs, the bulb is biennial and used as annual plant, grow in mediterranean, subtropical or temperate climate and growing in hardiness zone 2-10, (in zone 2-5 need to take the bulb out of the soil in the winter. 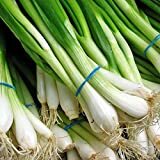 Organic Kincho Scallion Onions 50+ seed tall and green stems that do not bulb! 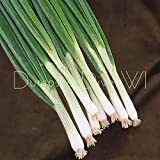 Organic Kincho Scallion Onions 100+ seed tall and green stems that do not bulb! 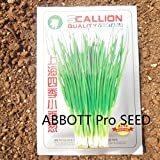 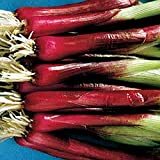 HOO PRODUCTS - Four Seasons scallions,chive - 500 seeds vegetable seeds for home plant Brand New !